Technology Instructions for Brinser Lecture Room (Steinman 114). If you experience any problems, call ext. 3333 or e-mail the Help Desk at mediaservices@etown.edu. Please visit our Web site at http://www.etown.edu/ITS for additional information. 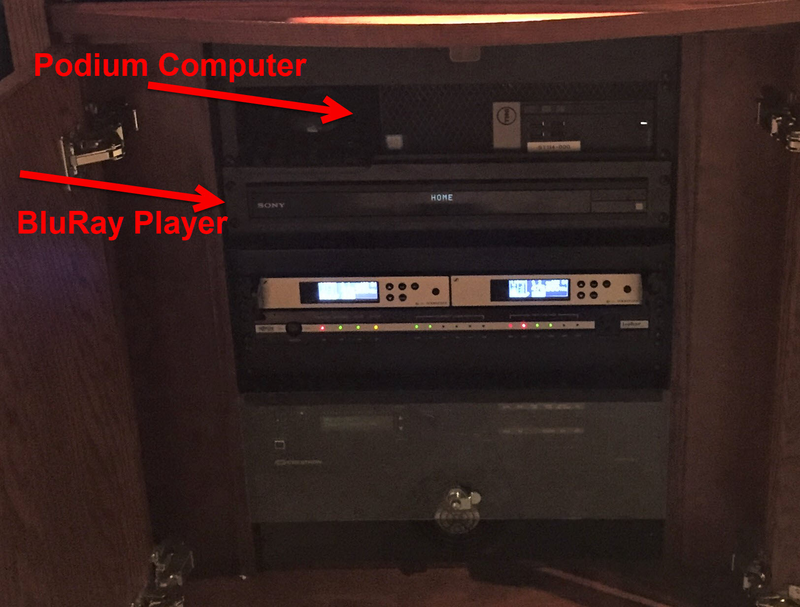 Step 1:Touch the power button on the Crestron display. Step 3:Press the power button located on the front of the computer and monitor, if not already on. Log on with your network username and password. Step 4:Choose where to send the source: Projector, Speakers, or Send to All. 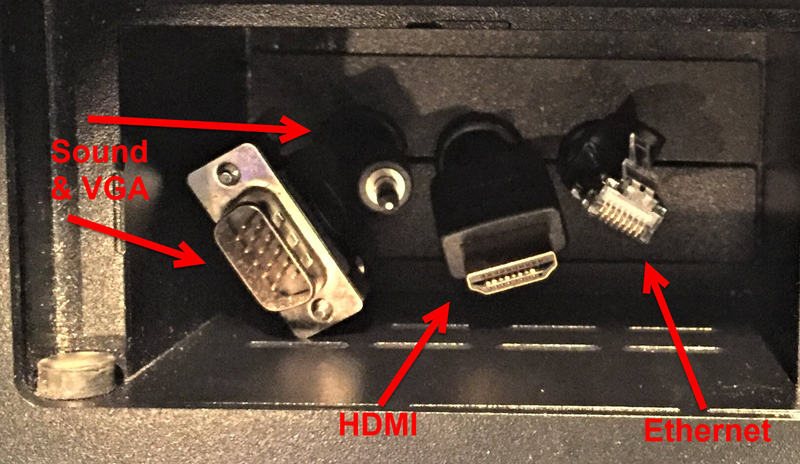 2) connect the VGA cable to the its port, the Ethernet cable to the network jack, and the sound cable to the headphone jack on your laptop. Step 3:Touch the power button on the Crestron display. 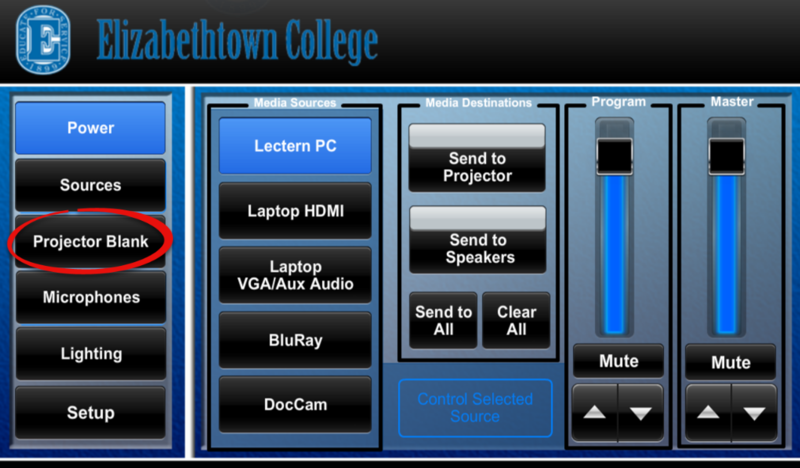 Step 4:Touch the relevant button: either Laptop HDMI or Laptop VGA/Aux Audio. Step 2:Press the POWER button to the left of the disk drive.Step 3:Insert your disk.Step 4:Use the buttons on the touch screen to control the media. The volume buttons are located at the right side of the screen. Step 2:Make sure that the Document Camera is on and in position. The power switch is on the left-hand side. The release is found at the bottom of the Camera arm. 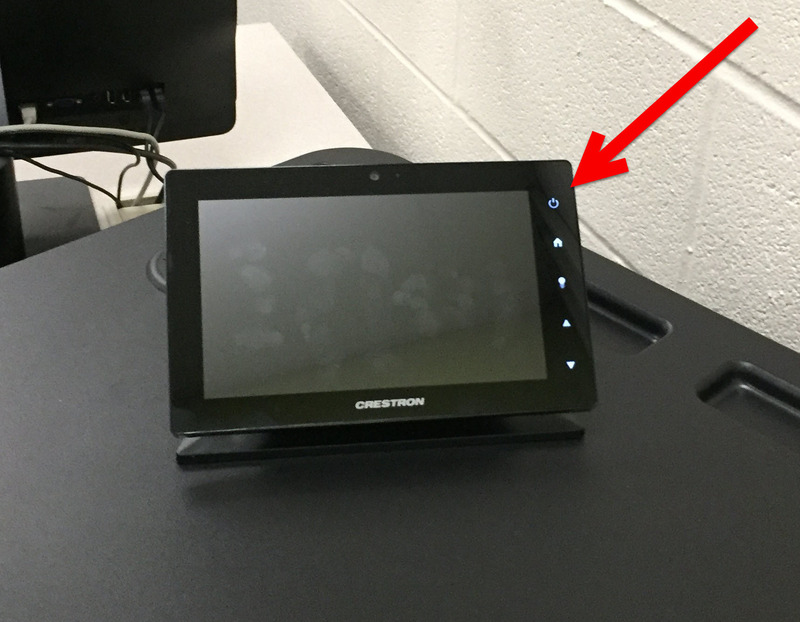 Step 3:Use the buttons on the Document Camera to adjust the lighting and view of your objects. Step 1:Turn on the remote with the power switch on the top left side. Step 2:Use controls as desired. Step 1:To blank a projector, touch Projector Blank. Step 2:Touch Projector Blank again to re-enable the projector. Microphones are kept in a locked drawer and mediaservices@etown.edu must be contacted for use. Mic controls are available under the Microphones tab. You can adjust the sound for the individual microphones or overall volume. The mics can be turned on and off my holding down the red power button on the bottom. If a red light-up button near the head is on, the mic is live. If you don't see that light, press the button. Do not attempt to change settings or channels on the mics. Step 1:The lights can be adjusted while the rest of the system is off. Tap Lighting on the left sidebar. Step 2:Use the controls to adjust the lights as desired. 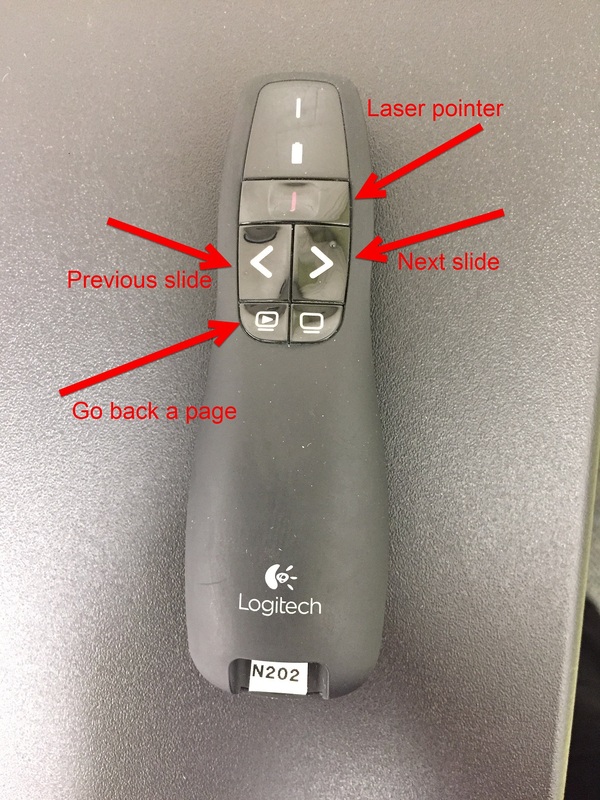 Step 1:Turn off the projector by touching the POWER button on the left sidebar. You will be prompted, “Are you sure you want to power off the system?” Touch YES.